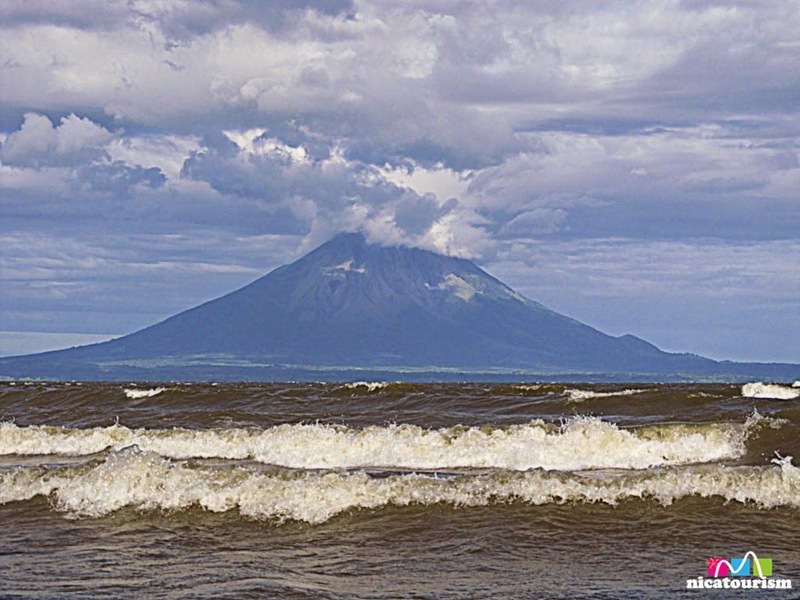 Many people choose to visit both Nicaragua and Costa Rica on a trip to Central American and have asked about the best way to travel between the two countries. It's a really simple process and here I am going to lay it out step by step with approximate times (the timing can vary greatly depending on the time of year you travel - mostly depending on how long the immigration procedures take). There are several international bus lines available: TicaBus and Transnica are the most popular. The basically offer the same services and quality. On this occasion we traveled with Transnica. The Transnica agency is located behind la Catedral Metropolitana, near the DGI offices. In San José, here is the address. It's well known by taxi drivers. Here is the link to their website, which has a lot of problems and seems pretty cheesy at the moment. We purchased our tickets in person a few days in advance and directly from the offices. That is probably what you will have to plan on doing whether you are in Managua or in Costa Rica. 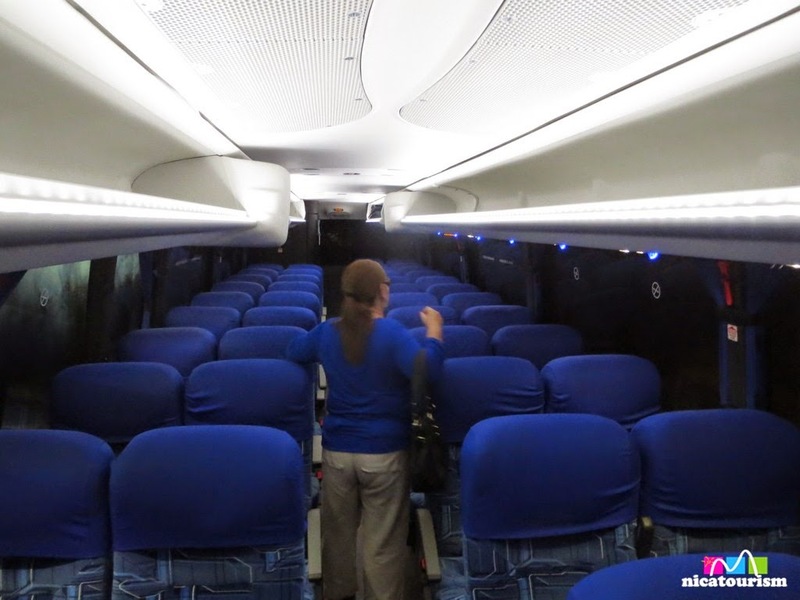 The cost from Managua to San José at 5, 7 or 10:00 a.m. is $28.75. The cost from San Jose to Managua at 4, 5 and 9:00 a.m. is $26.50. OK. Ready for this? Here is comes, down to the finest details. If you don't see something you need to know, please feel free to leave a comment and I will be happy to get you the information. We opted for the earliest bus - 5 a.m. 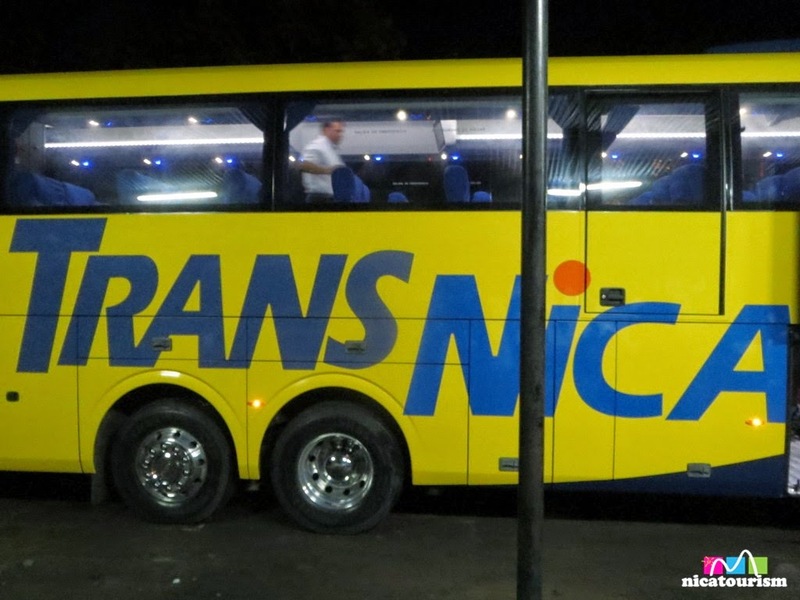 They ask you to be there at 4:15 a.m.
Transnica has a nice fleet of new and very comfortable buses. Take a jacket for the AC. The bus left the terminal at 5:07 a.m. Along the way it stopped in Masaya, Granada, Rivas and a few other spots to pick up passengers. In any of those cities you can board the bus or get off on your return (same ticket price). 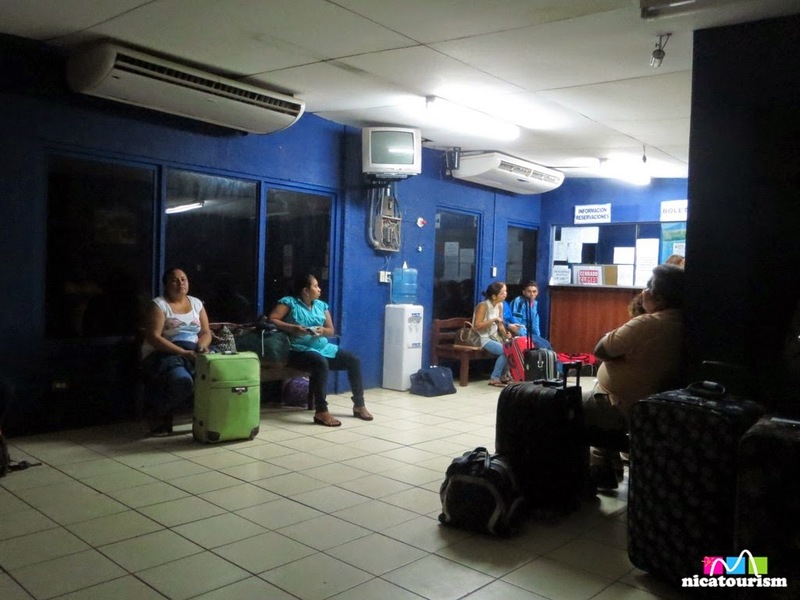 If you are boarding other than in Managua, you can buy tickets at local agencies. Just ask around. A bus agent passes through the bus a bit before 7 a.m. taking everyone's passport and collecting a fee: C$20 each for Nicaraguans and $3 for foreigners. They take care of the movement at the border. Note: Nicaraguan residents must have an exit visa. It can be purchase the C$200 at the border, just like it can be purchased at Migración Offices or at the Managua International Airport. We arrived at the Nicaraguan border, Peñas Blancas, at 7:50 a.m. We got off the bus at 7:55 a.m. Here you have at least 20 minutes to check out the duty free stores. I bought coffee at two of the three duty free shops. It's better to buy it in Nicaragua at La Union or Pali - it's cheaper. i.e. Cafe Las Flores here costs $10. In La Union it costs 6.50. A liter of Flor de Caña 7 years costs $9. I bought it for $7.40 (a good sale). At 8:40 a.m. we moved out to the Costa Rican border. There we had to take all our luggage and pass through immigration and customs. Remember that if you don't have CR residency or proof of being in transit ( a ticket leaving Costa Rica) you must purchase one at one of the few ticket counters outside the Immigration building. After getting into the immigration area, you must leave your bags against the west wall and wait in line to be attended. After immigration, you again get your bags and take them to the customs X-ray machines. Turn in your customs form and collect your bags to put them again into the bus. At 9:20 a.m. we were on our way to San Jose. En route, we arrived at Liberia at 10:25 a.m. (a popular jumping off spot for the beaches in Guanacaste, Costa Rica). At 12:00 noon we had our first highway robbery - a restaurant called El Malinche. Arroz con pollo and a few sides for c2700 (more than $5). A 600 ml Coke for almost $2. Longing for Nicaraguan prices...pura vida. About 1 1/2 hours from here 'til the airport.... (they say). We arrived at the airport at 2:10 p.m. After looking for the Courtyard Marriott shuttle, we were off to the hotel. It's a great place to stay cause its only 0.3 km from the airport. The shuttle runs every half hora from 4 a.m. to 12 midnight. For what it's worth, Wal-Mart (with its Costa Rican selection of goods) is right next door (a minute walk). Got some good soup, bakery goods and drinks there...a lot cheaper than the hotel lobby "restaurant" that had basic food for $10+. The following morning, we awaited the shuttle but didn't get on the first one. 15 minutes later he was back and the airport is just a 5 minute drive so we arrived just fine. No wait in the airport departure tax line (everybody who is a tourist has to pay the hefty $29.00 tax before checking in for your flight). Sometimes they say it is an hour wait. You can prepay in the hotel for a $4 service fee (Might be worth it for one or two persons but not for a group). That's the trip from Nicaragua to Costa Rica, in this ocasion to catch a pretty cheap flight out of Costa Rica. A incident free trip if you know what you are doing....you can read a related article here. San Jose, Costa Rica: Cheaper than Managua, Nicaragua?